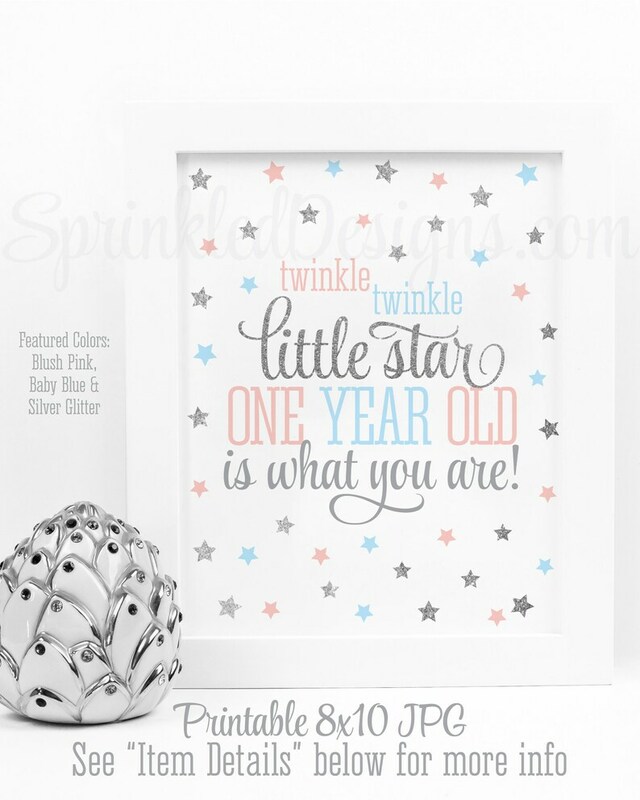 This listing is for a non-customizable 8x10 high resolution printable JPG file in BLUSH PINK, BABY BLUE, & SILVER GLITTER, featuring the quote "Twinkle Twinkle Little Star One Year Old Is What You Are." 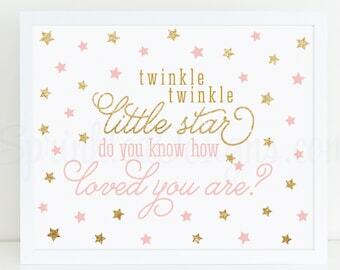 This image is ideal for printing at your local photo lab & framing as a decoration for a Twinkle-themed birthday. ★ NOTE: This design contains a DIGITAL image of glitter, but there is no actual glitter nor texture on this design.